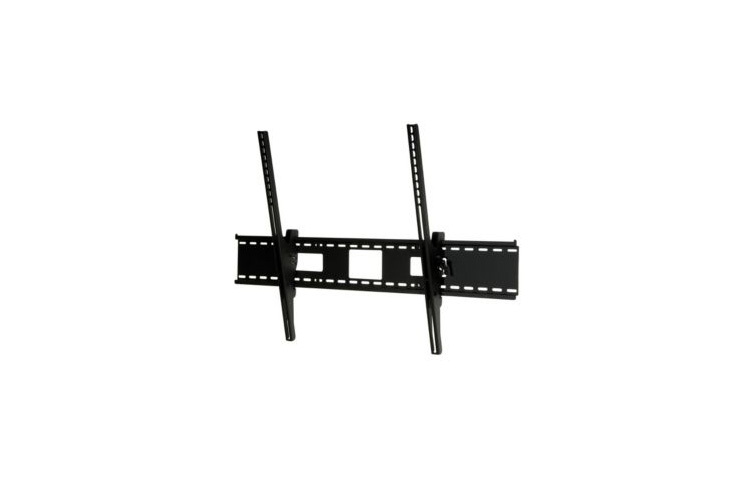 For 61″ to 102″ flat panel displays. Impressive installations of large to extra-large flat panel displays are made simple with the ST680. Attach the pre-tensioned universal display adapters to the display, mount the wall plate anywhere on the wall and attach the easy-glide display adapters to the wall plate. The wall plate holds displays weighing up to 350lb while featuring junction box access ports and horizontal display adjustment up to 12″ for ideal display positioning. Its exclusive pre-tensioned display adapter design offers quick and easy tilt viewing angle adjustment, enabling putting the final touches on the installation to be increasingly fast and simple. Universal mount fits displays with mounting patterns up to 1119 x 745mm (44.04”W x 29.31”H). Horizontal display adjustment of up to 12″ (304mm) (depending on display model) for perfect display placement.